Today on the Heinemann podcast; how do we create lifelong readers? It might seem obvious, but it starts with books! Books are the heart and soul of teaching literacy and our tools to develop lifelong readers. So how can we organize books across an entire school community to support student choice AND instructional goals? 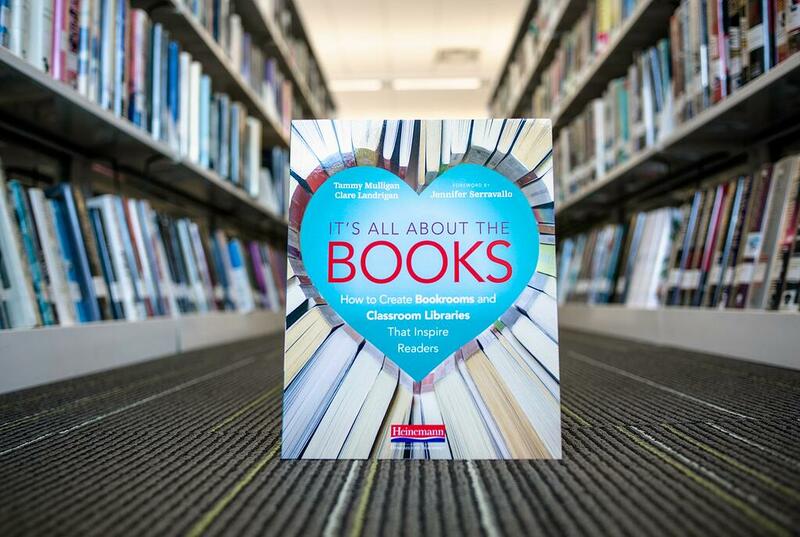 In their new book, It’s All About the Books: How to Create Bookrooms and Classroom Libraries that Inspire Readers, authors Tammy Mulligan and Clare Landrigan say teachers can’t meet the needs of a range of learners without a range of books. The authors demonstrate how to make the most of what you have, and how to get what you need on any budget. They share photos, resources, book lists, and a step-by-step outline of the process. Tammy: Books are the heart and soul of the classroom and of teaching literacy, and so without books, we don't have engagement and we don't have instructional tools that we need each and every day. Clare: You spent a lot of times with teachers in schools, and classrooms, and districts, and they're working so hard doing professional readings and, learning, and going to workshops and professional development. They have these visions of what they want to do and they're working so hard and then they don't have the materials they need to bring it to life. And teachers are always doing their best to get what they can get, but teaching's so hard right now. The amount that's on their plates to do, so the fact that they're trying to do it, and they don't have the materials that they need. You can see how it's making it so hard for them professionally. Brett: You also write a lot about the importance of access and also design and how design can kind of maximize that access. How do we do that? How do we maximize design for access? Tammy: Well, we think about in schools that we want lots of books in there. But if you think about the different grade levels, we want all children, in every classroom, every day to have books that they love. And if you think about access with kids, what kindergarten kids might read at the end of the year, first grade children might read in the beginning of the year. So, we think about, can we design something where our books are flexible. That the school's books move between classrooms, so that when different children need different things and different teachers need different things, they can achieve that and find them. Clare: Also thinking about the flexibility of the design, even within the classroom. That sometimes, we want to have everything set and have it look exactly the way we want. But for kids, we want things to, also, be exciting and new. When you walk into a bookstore, they often have different books showing and it gets us excited. We design our classroom libraries in a way that we can shift things and move things around, we're finding that makes it more accessible to kids. Also, thinking about how we're housing them, their fingers are little and sometimes when those spines are out, they can't get what they want easily. And they can't move things around. So, putting things in baskets that can be moved around, that organize things, so that they fit together, and make sense why they're together. But, there's still an openness to it where kids can explore and make choices as we're searching for things in a classroom. Brett: Design, for you both, is a really important part of the book. Tammy: We've done book rooms and helped teachers with classroom libraries, for years. And pictures bring things to life. So we wanted people to be able to see and we wanted the opportunity to take people into lots of different classrooms, and see all different ways to organize something. And also into school book rooms. And notice how different schools have brought this to life. Clare: I think it's a privilege of ours to be in so many schools and to collaborate with so many teachers. And for us, we think about many things. We always say the "why" behind the decision is always what's so important. So the more we talk with teachers, the more we think about how we're designing them. That it's not just how it looks, we want the classroom library and the book room to reflect how we teach. Thinking about whole class lessons, independent reading, small groups, and making sure there's options that are easily accessible. And that we're designing the space so that kids know where to get what they need. But also, teachers can easily access what they need and it matches the work they're trying to do. Cause if it is our instructional too; it's not just that it is a great book, but we also want it to be a great book for what we’re trying to introduce or to bridge our students in their experiences. Brett: You mentioned how much you are in schools and you are in schools a lot. A theme throughout the book is, you bring this up many times, an important piece of information that you always give an administrator when they say, "What can I do to maximize what we're doing in the school after your visit or during your visit?" What is your response? You have a very specific response that I love. Clare: It's not a great marketing plan. Tammy: No... It's not a good marketing tool for ourselves, but we say, "We think you should fire us and buy some books." Brett: And why is that? Clare: Regardless, that had the number of books to pull this off. It's never in the budget line when you first meet people. It's teachers are using their own funds or they're beg, borrowing, stealing, sharing, being as creative as they can be, to get what they can get. It just doesn't seem right. We budget for everything else in the classroom, but we're not budgeting for books. Brett: So lets get into the budget a bit, because that's a really important part of what you spend time on in the book. You talk a lot about what we can do if we have no budget, what we can do if we do have a budget, and what we can do with the things we already have. So, help get that conversation started. Where do we start? Cause it can be kind of be overwhelming for anybody when they're looking at that and go, "What do I do?" Tammy: It can be overwhelming and we've been in places where we've taken too much right away to do something. So we never say, "Take all the books off the shelves." Right. We only organize a little bit at a time. But our first step is really figuring out what do we have here. And often in schools there's books in closets, in cubbies, and tucked away in different places. We first want to say, "Well, what do we have?" And, "What do kids love to read that we already are using?" We see lots of sets of books that sometimes have dust on them, because no one's reading them anymore or sometimes it's just we forgot about that book. So we first want to say, "Hey, what's here and how can we reorganize this to get these books into kids hands and into teacher's hands, when they need them?" Clare: We've seen a lot of books in schools, as Tammy's saying, with dust on them, that aren't being used. We think, sometimes it's the way they're being packaged. They're in zip-lock bags, with a rubber band around them, in six packs. So, the amount of time it takes to go and get those books, and bring them in your classroom, and bring them back. We think we need some of our books organized that way, but some of our books would be better utilized if we took them outta the bags and put them in a way that kids can also access them more easily. So, thinking about what we have and also how they're organized, and that there's a way to get more bang for your buck, just with what you already have. Cause you want to see, sometimes we have too much of one thing and not enough of something else. And you can't really get a sense of that until you take some time, just to inventory. Tammy: There maybe a book that teachers love for small group instruction or whole class instruction, that's perfect for book clubs. And then there's other books in those six pack sets, that aren't being used as regularly. And boy, those would be perfect for independent reading. And we could break that up and lots of kids could be reading that book. So we just want to think about what do we have, and also who's using it, and how are we using it in the classroom? Brett: So, as we evolve from that, let's say to the person who has a very small budget. How should they approach that? Clare: So in some districts they don't have a large budget to start. We've seen people start to share among themselves. Which I know sometimes it's a little hard. To take your things and share them, but even within a classroom team, we're starting to see what we all have and we're starting to organize it and rotate what they have. So that if I have a small library and Tammy has a small library, but we share, all of a sudden we've doubled what we've had. So that's sometimes a first step for schools is that they start to share among teams or just to share with what they have with each other. 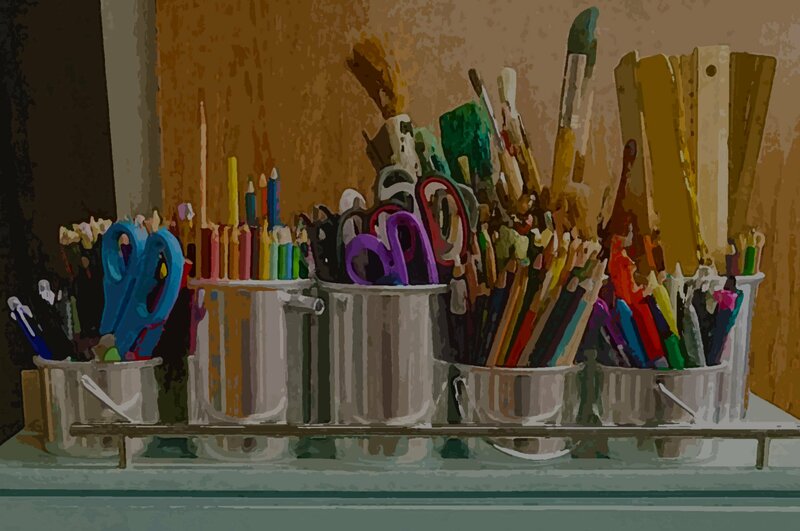 Tammy: If you think even across grade, again, what one teacher has at the end of the year, uses at the end of the year, the next teacher could use at the beginning of the year, so can we do a little bit of sharing in that way as well, we can also branch out and broaden our libraries. Brett: You also talk about why it's important to involve a student, or the students, in the organizational process. Why is that so important? Tammy: Well, they are the children who are going to be using those books. When they touch those books, and they start to organize them, number one, they see what books they want to read. Number two, they know where they are then. It's really interesting as we watch and listen as kids sort books. Boy, do you learn a lot about what they love, what they think about when they choose a book and how they might find those. So we find when kids start to be a part of the organizing, the ownership of the classroom and the classroom library really changes. Clare: Also as a teacher instructionally, we think it's some of the best formative data that you can collect. Just take a step back and listen to kids as they think about how they would group books, how they would put books together, how they would assume a title would fit with another title that we might not see. They're starting to see things in ways that we don't see or how characters fit together in ways that we wouldn't predict, and then places where we can actually bridge them. We're noticing something and we think, "Huh. I wonder if we were to now show them something else, how can we begin to expand the way they think about things". It's not just making them part of that community, it also gives us such great instructional information, authentically to teach with. Brett: So in that process ideally, we would see a student's interest grow, as perhaps their identity is growing as a reader. So how do we bring more books into the collection while honoring that growth of the student? How do we balance that out? But also at the same time, trying to balance out any instructional needs that we have as well. Tammy: You know, we used to put out all the books that we had right in the beginning, in the classroom library. Now, we think about which books are appropriate for this time of year? And we talk a lot about how do we keep some books back so that we can rotate and refresh and keep our library fresh and new for kids? So we keep some back and think about and sort of plan out our baskets in the year, and then we can change whenever we need to. Clare: I think a lot about books as bridges and really thinking about how do we plan our journey of the year and opportunities to bridge kids from a place of comfort, which we love and reading should feel that way, but we also want to bridge them to learn something new or experience something different, and we can figure out where they are. Books can be a bridge. You have someone who loves non-fiction and you're moving into poetry and there’s a little trepidation, and then you find an informational poetry book and all of the sudden, they start to see, wow. I can try something slightly different, but still have what comforts and what I love, so. We're thinking a lot about how to use books to engage kids, but also to allow them to find themselves in their own voice in the instructional journey throughout the year. Brett: I want to go back a little bit to access again. You write early on in the book, and even Jen Serravallo mentions your work in her introduction, that access for low income families is one of the biggest crisis that we face in education. Can you talk a little bit about why that is such an important crisis and why we need to be talking more about this? Tammy: When we think about giving all kids access and equity, we have to think about how many books we have in the classroom and it's essential that we think about in our schools that service lower income students, they do not have as many books as some of the other schools. It makes such a difference in a child's life to be able to read to have those books and not only have them at school, but to also transfer them and have them at home. And bring those books back and forth between home and school. If we can change that, we can really help change literacy for kids. Clare: Our experience has shown that a lot of these kids don't have as many books at home, either, and the public libraries don't always have the same hours that other towns do, so even getting to the library and getting access that way has been hard. In rural communities, getting to the library can be hard, it's not something that you pass on the way home. So it's really been something we've noticed and thought a lot about in our work in trying to help schools figure out summer programs for kids to get books in their homes or in their hands, one way or the other, to make that happen because it's a big difference, not only in the classrooms, but also when they're going home. Tammy: In the last chapter, we write about digital resources, and we think there's a huge opportunity in digital resources. Whether we like it or not, many families have digital devices now. Many more than in the past years. So digital devices give an opportunity, because kids can get free access to books via the library, without ever going, and lots of wonderful websites for kids to read and enjoy, and that's a big portion of access that we want to think about and embrace in classrooms and outside the classroom. Clare: Because the feel of the book in your hand is something important to both of us. But as we've now watched young readers, I think they're getting that same feeling from a device and for them, the access can't beat it. Brett: Something else you've really focused a lot of time on is the misunderstanding around levels. That's something that you're very passionate about. Can you talk a little bit about where the misunderstanding is at and where you stand on the levels issue? Clare: We're thinking especially from an emergent reader perspective, the levels are really important. So we're a little worried. We've spent the beginning of our career making sure that kids were reading books they could read. We met too many kids who were sitting in front of books that they couldn't access in terms of decoding and comprehension. A big shift we made was making sure that kids got books that they could read in their hands, and lots of them. Allington's research, that shows the importance of reading books that you can read. You take teachers who are trying to teach 25, 26 little friends who can't read, and they're trying to empower kids to make choices; I think the solution made a lot of sense. They tried to organize their libraries by pointing kids in a direction to say, "Hey! Pick and of the 45 books I have in these two baskets", and to keep things organized, in a way we like to in classrooms, we labeled those baskets with levels so that we could keep track of where kids were getting books. It sounded like a great system. Tammy: But, there were some unintended consequences, right? Of course, children, the level they see on the basket sticks with them, and thus then they start to identify themselves as that level. There's no intention of people wanted to identify children with a level or a label. Thus, we're thinking if you change the label on the basket, but keep some of those books in the basket at a similar text complexity, especially for our early and emergent readers, then kids can find the books they want, but they're not looking based first on level. For example, I could have a basket that says "Funny books", or I could have a basket that says, "Realistic Fiction", and kids can think, "Oh, what do I want to read right now? What kind of book do I want?" They can think that first, then go to a basket that has levels within it that is a support for them so that they're not identifying themselves as a level. They're identifying themselves as a reader who likes this. But they need to find something that they can read. Clare: We find that small change has really shifted the way they're talking about themselves as readers, and that is what we think is most important. I think what was most upsetting to many of us was when kids say, "Well I'm a C and I'm an E". I think what they're saying is, "Those are the books I read, because that's where my cubby is labeled". The scissors are labeled, everything in a classroom is labeled, so when someone says, "What kind of books do you read?" They were talking about the basket was labeled with ... That label doesn't stick with you for a lifetime. So putting on titles as Tammy suggested, that stick with you for a lifetime like funny, adventurous, authors, genres, but still making sure that text complexity for our younger readers is there, we think is essential. The instructional tool, the level's really important as a teacher for the kids to begin to access books that have the right amount of supports and challenges, so we can help kids begin to love reading, because we do think lifelong readers do consider whether or not they can read it. So we're trying to broaden how a reader chooses a book and making accessibility one part of it, but not making it the only part of it. Tammy: Exactly. We're really trying to make sure that kids understand how a reader chooses a book in a very authentic way. But then in our younger grades, giving more support to how to pick that book so that they're feeling ... also, we want them to know that when you read a book, it makes you feel strong as a reader. You can read it, you can understand it, you can laugh, you can be surprised. That's the feeling we want them to have, so we want to balance those two pieces. Brett: From the moment I started reading the book, there was an urgency to be mindful about inclusivity. That plays into the theme of access. You both feel strongly and it was an area where you had to do some learning on. Can you talk a little bit about why that was important to you and why it stands out? Tammy: We did, and we want books in all schools and all classrooms that reflect the learners in those rooms, and invite them to learn about other learners ... experience what other people experience. And so, how do you find the balance between those two things and how do you help readers and classroom teachers and build libraries that are diverse with the diverse population in front of them? Clare: Having a growth mindset in doing that, because I think in some of the conversations, honestly, we had to grow and learn. Often people would ask us and we did give lists. We'd give lists of books. Lists of series that had diverse characters and we would list them. Through the journey of writing the book, we've received feedback and learned and grow and talk to a lot of people who started to say, "Actually, that's not the best way to go about doing this". We made a lot of changes. Clare: Right up until the end in thinking about rather than making lists, making sure these are books are in every basket. Rather than being a shelf, it's pervasive across all genres. Across all structures. Rather than just an author, making sure those authors are in every basket. Tammy: We wanted to make sure that, also, there was figure in the book that helped people to find resources. So on those online resources you'll see, it shows how to find books. When you're looking for any type of diversity, that you can find some of the books that you need. Those resources have really helped us and I think we'll continue to have that list grow and change as we learn more. Clare: We're excited it's an online resource so it can change. I think the one we learned is we're constantly learning in this area. There are so many people who are now sharing thoughts and the dialogue is here and we want that dialogue to remain open so we can all continue to know better, do better, and to make changes as we learn more. Tammy: Right. It's an exciting part of the book. That we can make those changes. Book Love is a not-for-profit organization founded by Penny Kittle with one goal: to put books in the hands of teenagers. 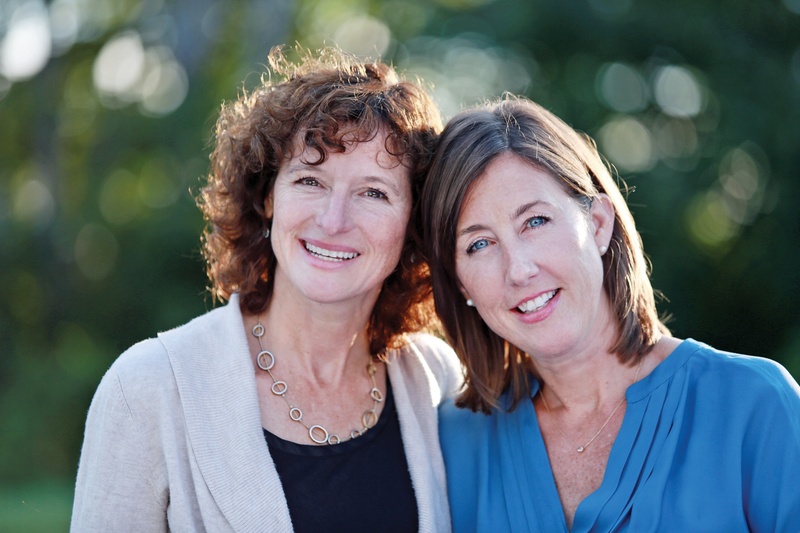 Tammy and Clare's book will now expand that goal and put books into the hands of elementary and middle grade students as well.